* have a calming effect on skin, suppressing blemishes to lessen inflammation and irritation. The two highly scientific Vital Transfer Creams developed for Face and Body, bring back an essential element to the body necessary for its optimal functioning and provide each layer of your skin with the essential elements for their optimal functioning. 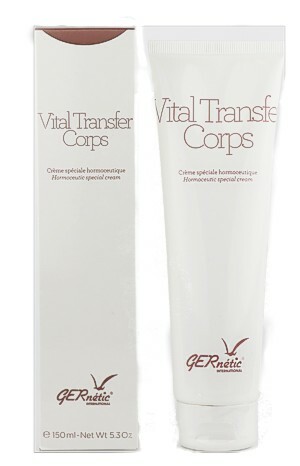 Vital Transfer for Body: Round and velvet marine fragrance.